Recently, I bought my first bottle of really nice olive oil. Not the kind that you splash in a hot pan to make sauce or sauté something. Rather, the kind that you gently drizzle over salads or vegetables, seasoned with little or nothing else, so that the complexity of the olive oil can shine through. I have been enjoying it mostly on salads in the form of a very simple vinaigrette made with Meyer lemons from my neighbor’s tree. With something as interesting as this olive oil, I don’t have to doctor it much to make a really delicious dish! 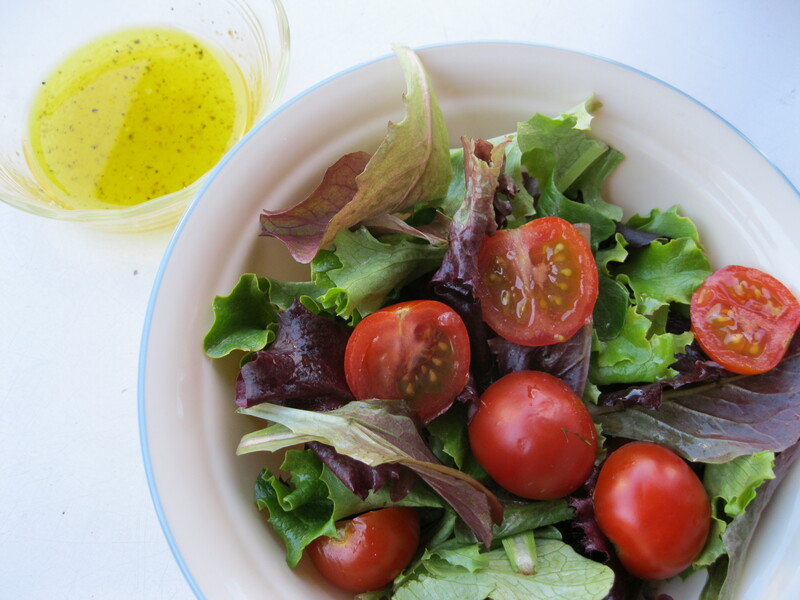 Drizzle over a simple salad of lettuce and tomatoes.